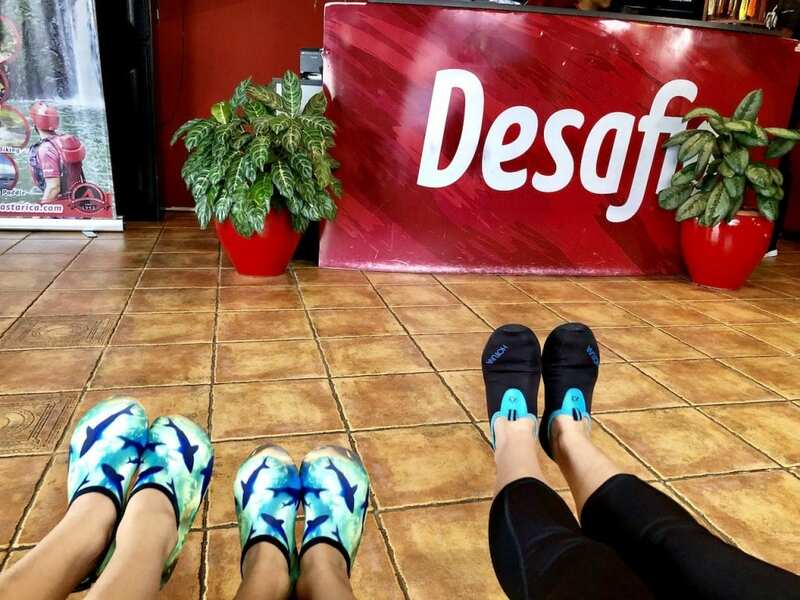 Disclaimer: Desafio Adventures hosted us on a safari float adventure. All thoughts and opinions expressed herein are my own. Please read our disclosure policy for more information. 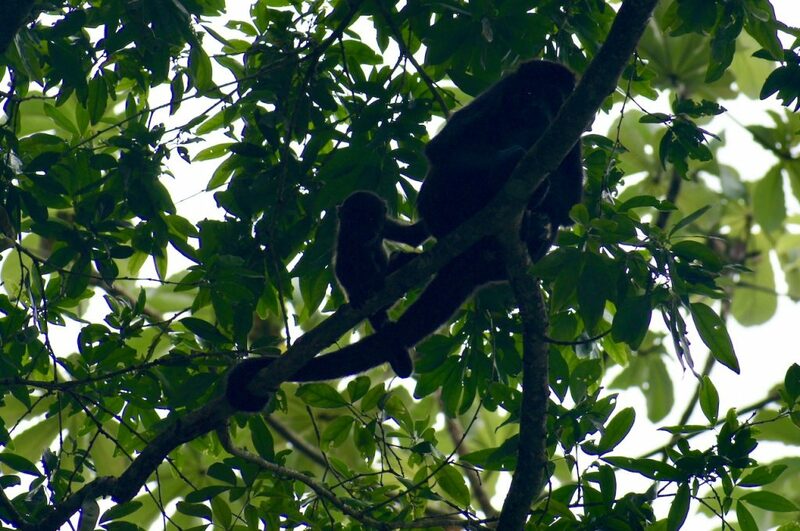 Our main expectation for our Costa Rica trip, was to see animals in their natural habitat. 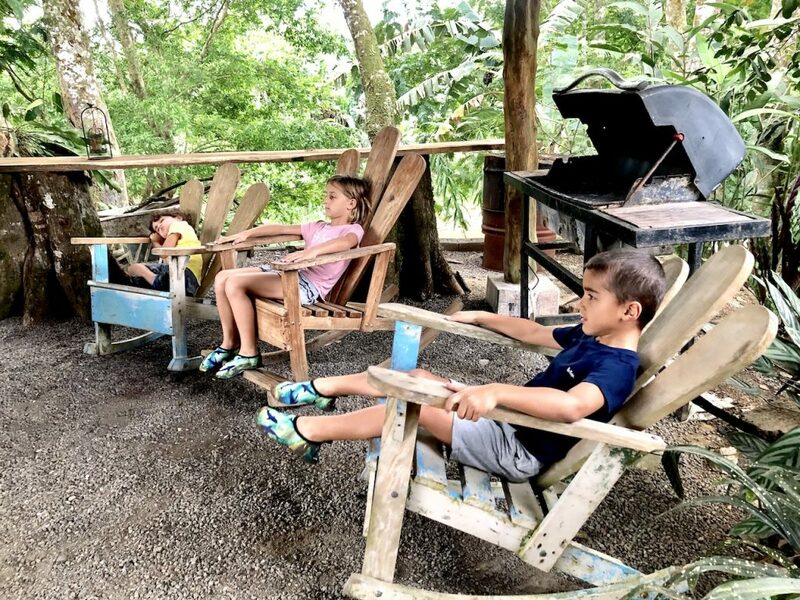 With three young kids in tow, the excitement was high and when we booked 2 nights in La Fortuna, I knew that we wanted to experience Costa Rica off the beaten path. 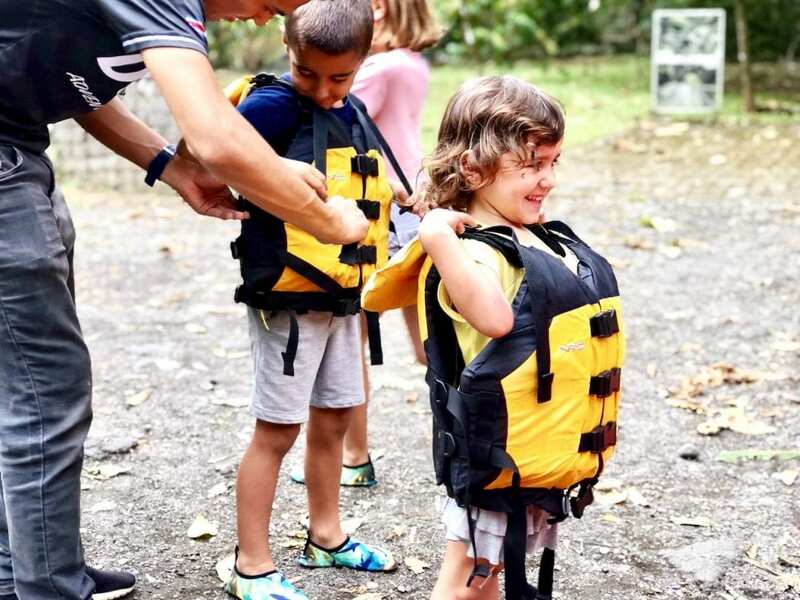 If you are currently planning your Costa Rica family trip, the main attraction in La Fortuna is the Arenal Volcano, with beautiful national park hikes, hot springs, and lots of opportunities for fun adventure tours. And if you’re in for some family adventure, you are in for a treat!! 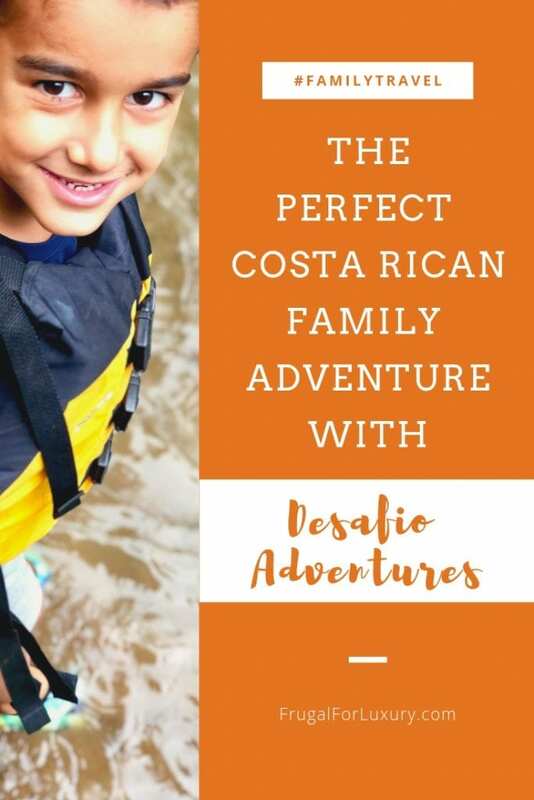 We chose Desafio Adventures for being extremely reputable. They were highly recommended in both the Lonely Planet and the French travel guide I trust. 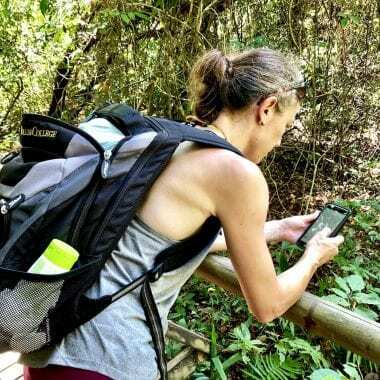 Additionally, they received the 2018 TripAdvisor certificate of excellence, and best of all… they have a whole Family Adventures section on their website!! 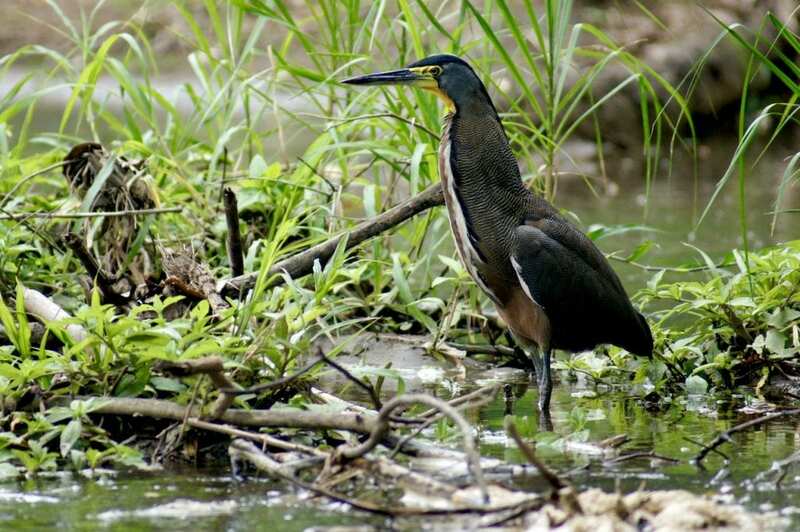 They also offer tours and activities in several regions in Costa Rica, if Arenal is not your destination! Since our #1 wish was to see animals, we naturally decided to do the Safari Float with Desafio. 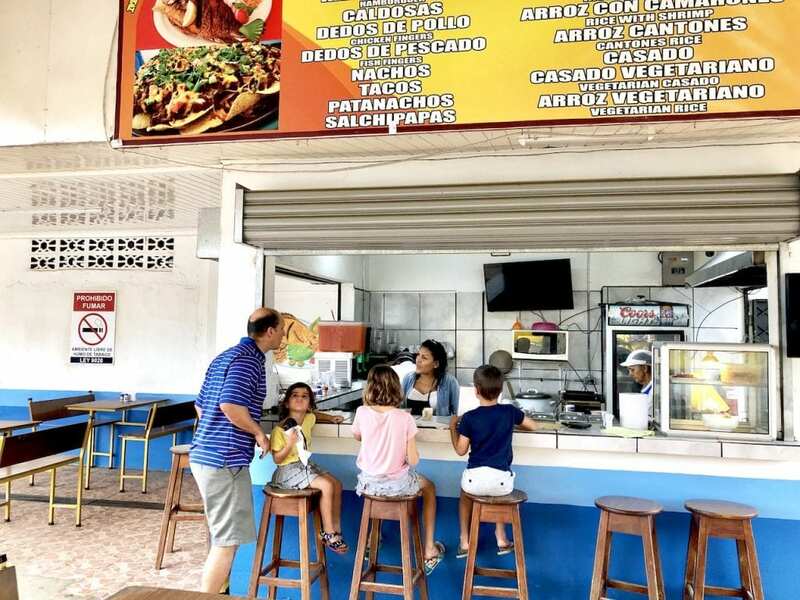 We booked the 1.30PM tour and drove from San Jose that morning, making it with enough time for a fantastic lunch in a local soda on the way to La Fortuna! 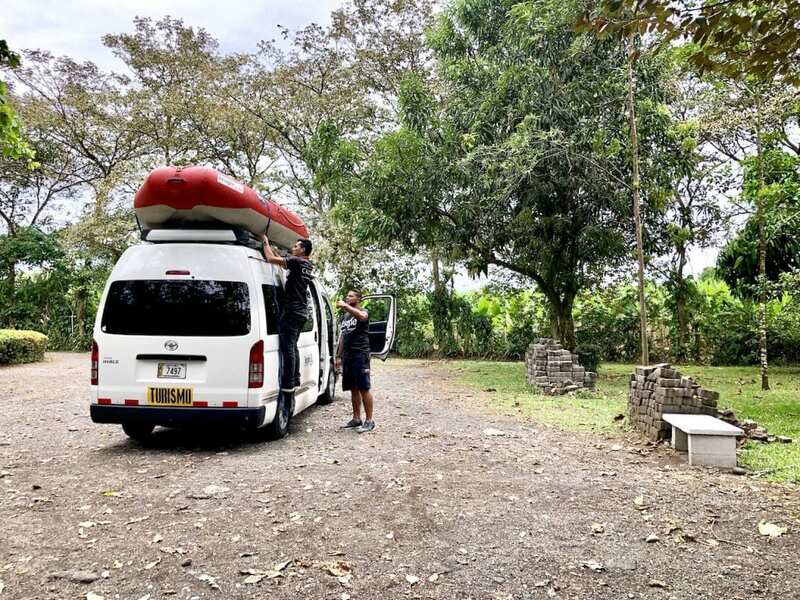 Once we got to La Fortuna, we met our awesome guide – Sergio, who shared his amazing knowledge of the region, and even ended up giving us a few local tips on what to do with our next 2 days in the area!! Aren’t those the best?! After being quickly checked in, we boarded a shuttle bus with our driver and guide. Since we were 5 adventurers, we had the paddle boat to ourselves, which was amazing. 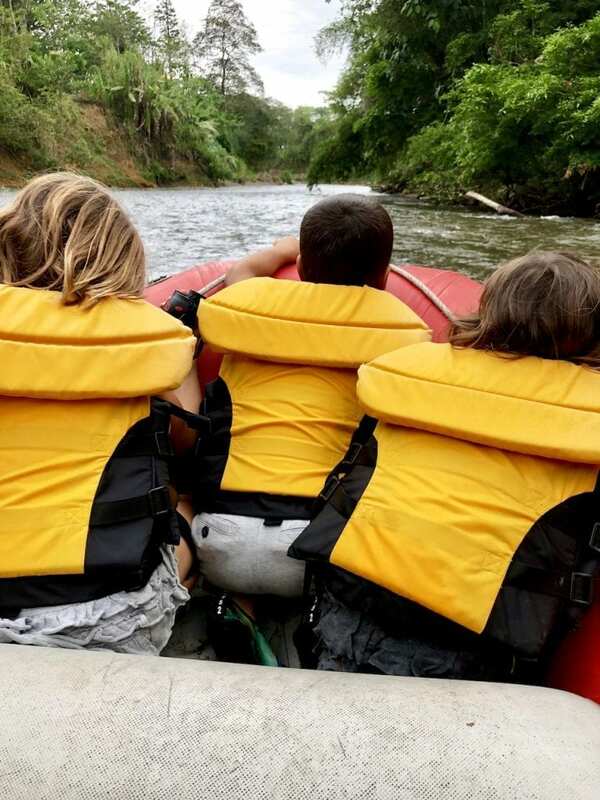 It was a short 20 minute drive out of La Fortuna to the start of our float on the river. The kids loved watching the guys take the boat down from the truck! 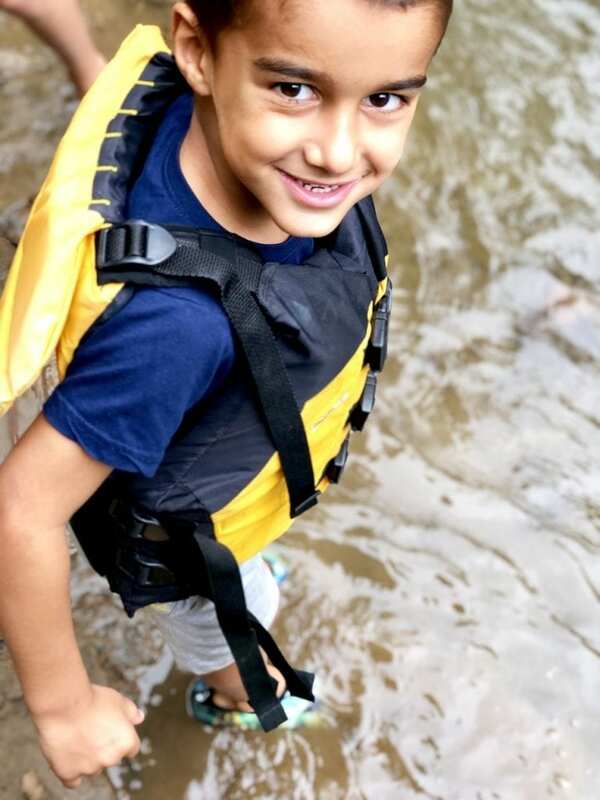 We all got secured in our life jackets. Ava, Mark, and Elin hopped in the front, and Christian and I sat in the back. 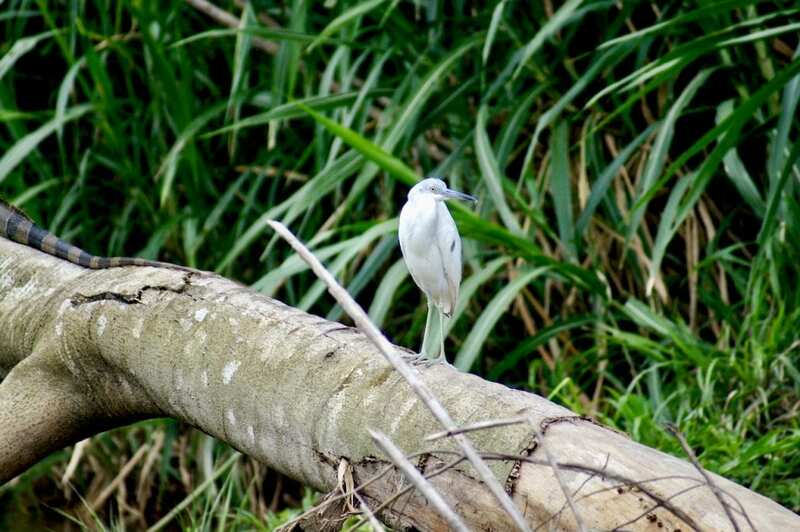 While I had hopes to see animals, I somehow didn’t have any expectations for the river itself… It was so beautiful!! We spent over an hour on a half strolling down a clam river with a couple of exciting faster spots! 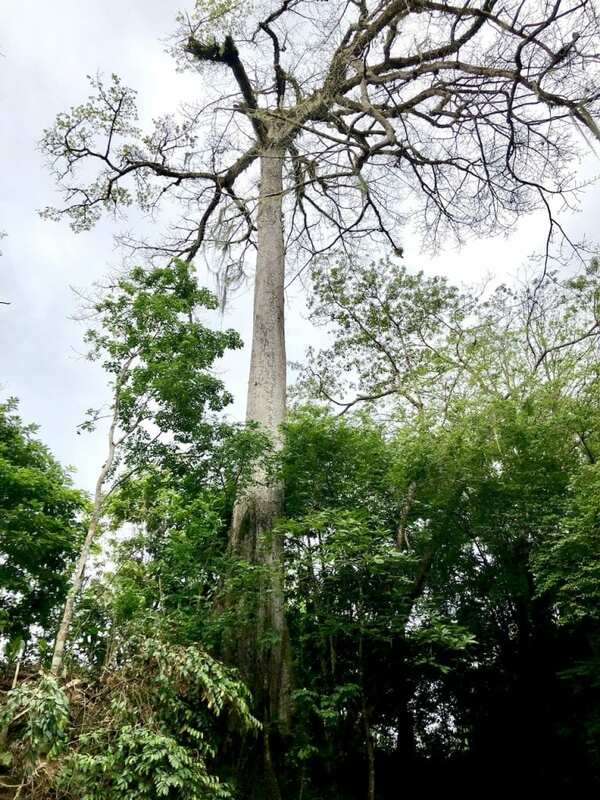 All around us were tall and humbling trees, mud cliffs, and a lush vegetation, transporting us to the heart of Costa Rica! Let’s talk animals for a second!! 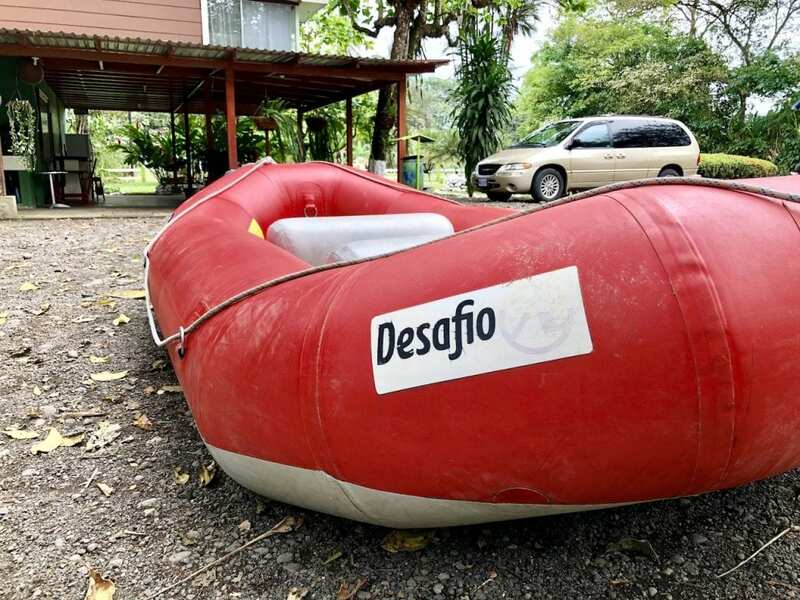 Unbelievable is the only word I have to describe our river safari with Desafio. We had been told that the river was fairly low that morning, mostly due to the dry season (March) and some of the dam initiatives above us. 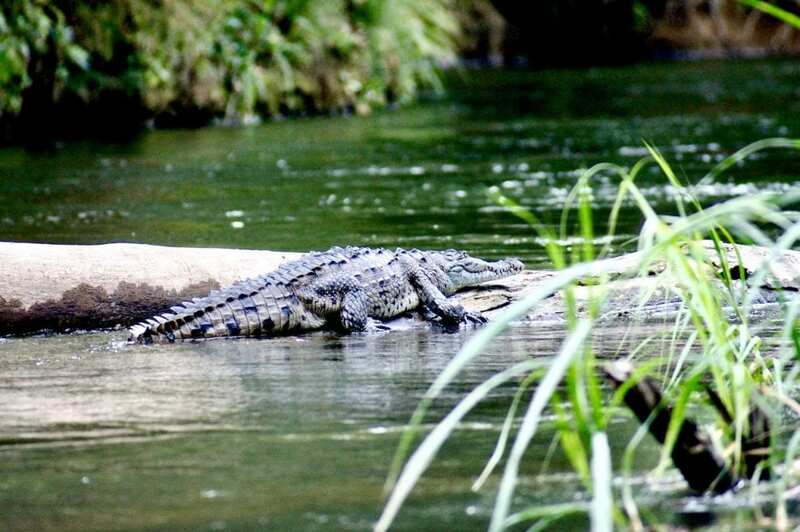 But within minutes of leaving, we spotted a crocodile, enjoying the sun and calm river floating by. None of us saw him at first, not even after Sergio pointed it out. That brings me to say that, without a guide, we wouldn’t have seen a third of the animals we saw that day. 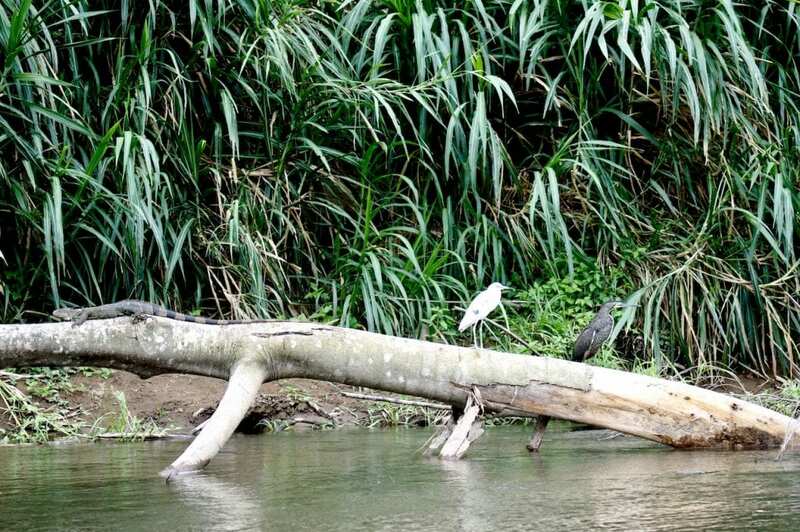 But Sergio stopped the boat, Christian helped maneuver a few feet up the river and closer to the crocodile, and we all stood there, in awe of the spectacle! 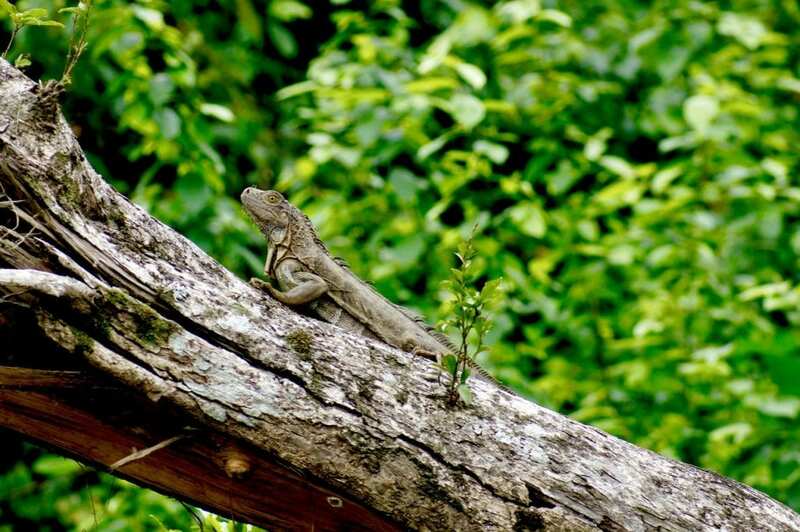 From there, we went from exotic birds, to howler monkeys, to more birds, fish, and amazing iguanas! Sweetest Surprise At The End Of The Float! 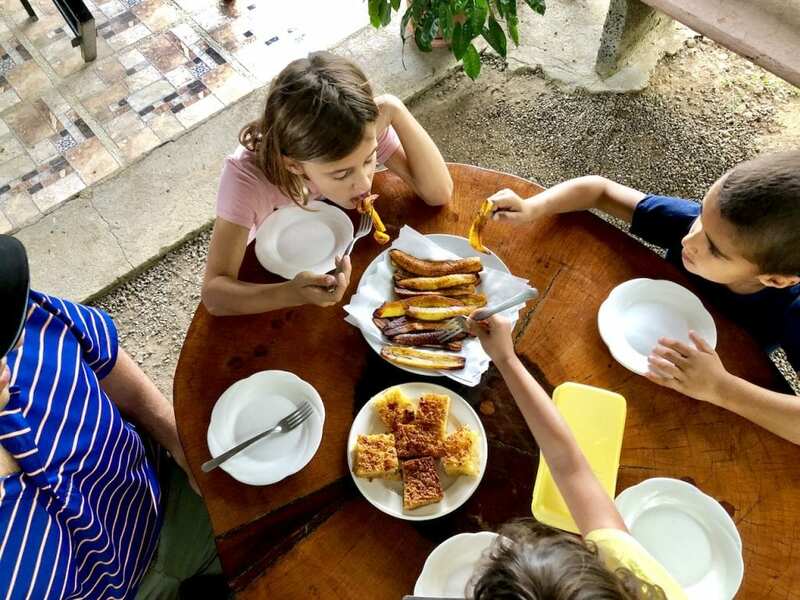 On their website, Desafio Adventures mentioned a special bonus of snacking on a local farm! Now, that is a vast understatement!!! After the float (and with a sleepy baby between Christian and I, because… you know… she should not be sleeping in the airplane and went to bed at 4AM the night before… and that boat was just so delightfully swinging her! ), we debarked on a private farm. 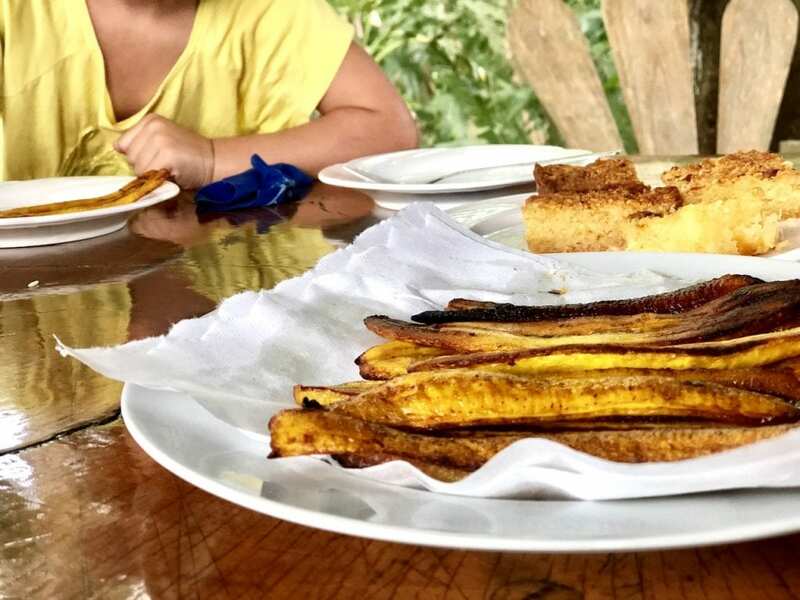 What we weren’t expecting were the beautiful outdoor tables, overlooking the river, the amazing Costa Rican snacks with coffee, juices, local fruits, home-made cake, and that amaaaaazing white cheese! We loved spending a good 30 minutes relaxing after what had been a long but thrilling first day in Costa Rica!! 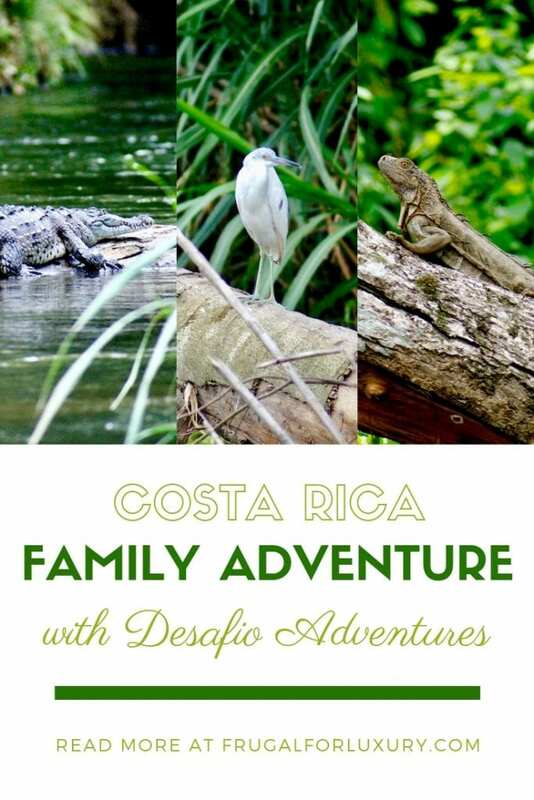 Whether you are in La Fortuna, Monteverde, the Pacific Coast, Manuel Antonio, and more, you will love adventuring with Desafio Adventures. Check out all their locations HERE! 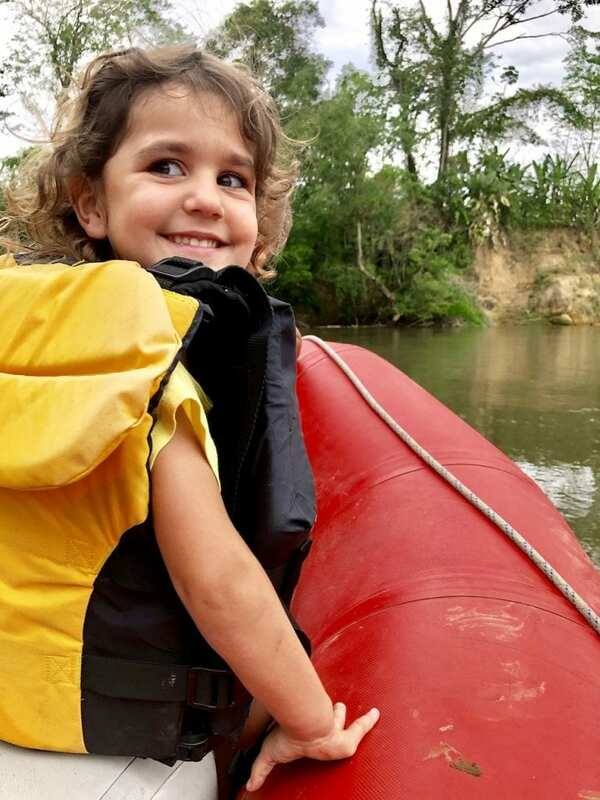 We had a wonderful time and were so very impressed with how well Desafio Adventures catered to families! As always, do not hesitate to be in touch, should you have any questions!!! If you enjoy reading us, make sure you sign up for our newsletter below!! 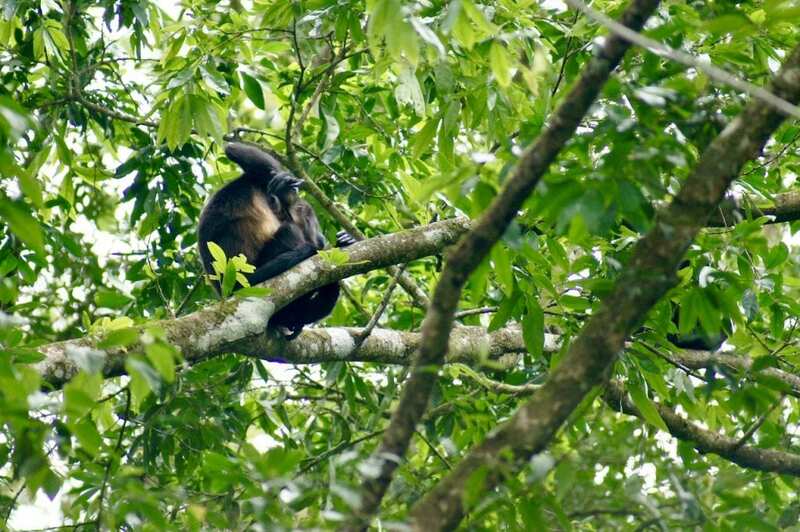 Oh no… I am sorry you had some hardship on your travel… I hope you get to go back and enjoy another part of Costa Rica soon! It truly is! It is also a very affordable vacation. Hope you get to visit it soon! Wow! This seems like a really interesting and amazing trip! 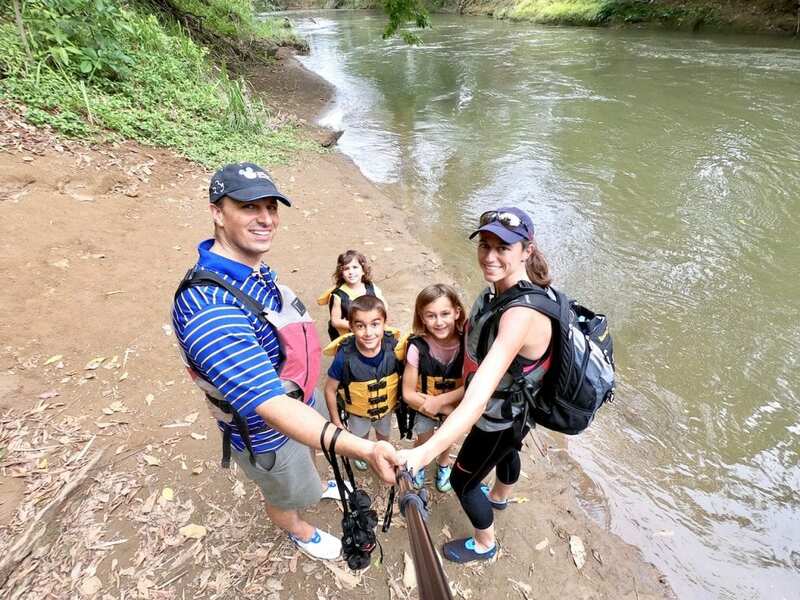 It is so important to take the whole family on adventures. That’s right! 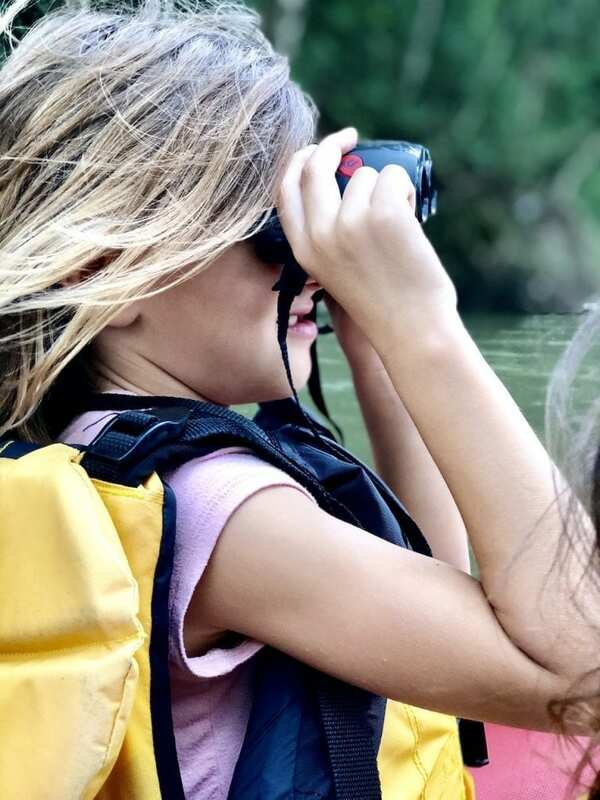 And the kids learn so much through travels, it truly is wonderful to watch! Costa Rica is on the top of my list of places I’ve been longing to visit. It’s such a beautiful country and I’ve always wanted to go zip lining through the rain forest. It’s such a wonderful vacation place! 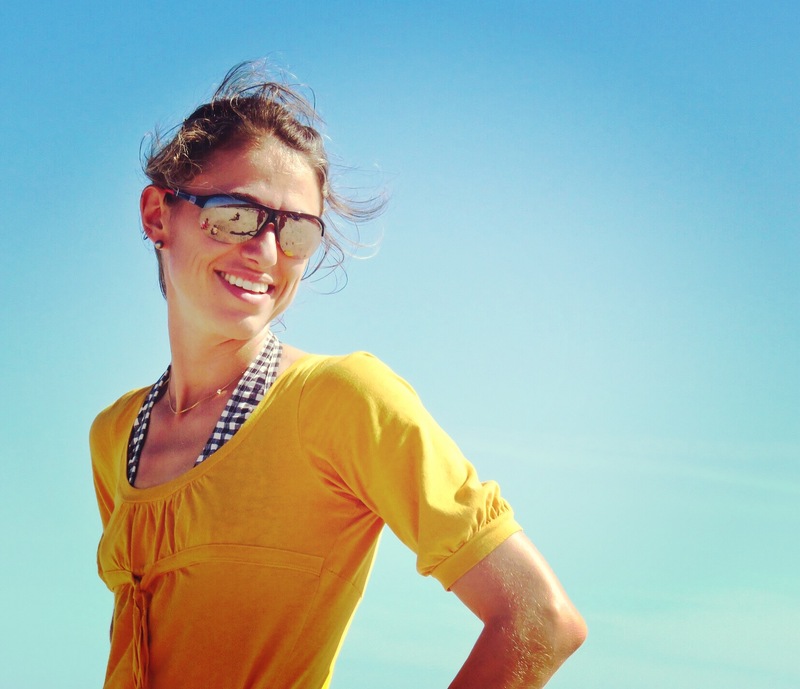 Getting there and accommodations can be very affordable and we loved all of the different things we experienced there! This sounds like an amazing family adventure. Costa Rica is so beautiful! 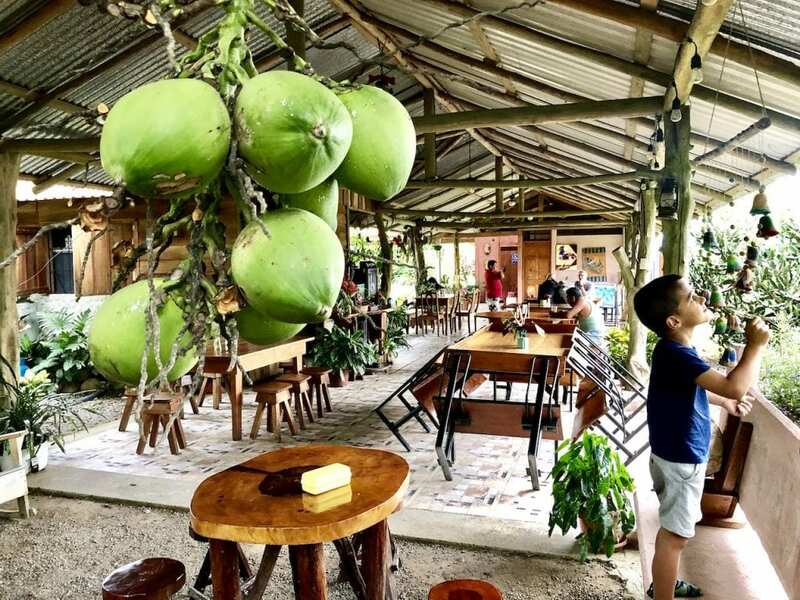 It’s a perfect destination for family, couple, and solo travelers. We had a blast with the kids! Costa Rica is on my bucket list. 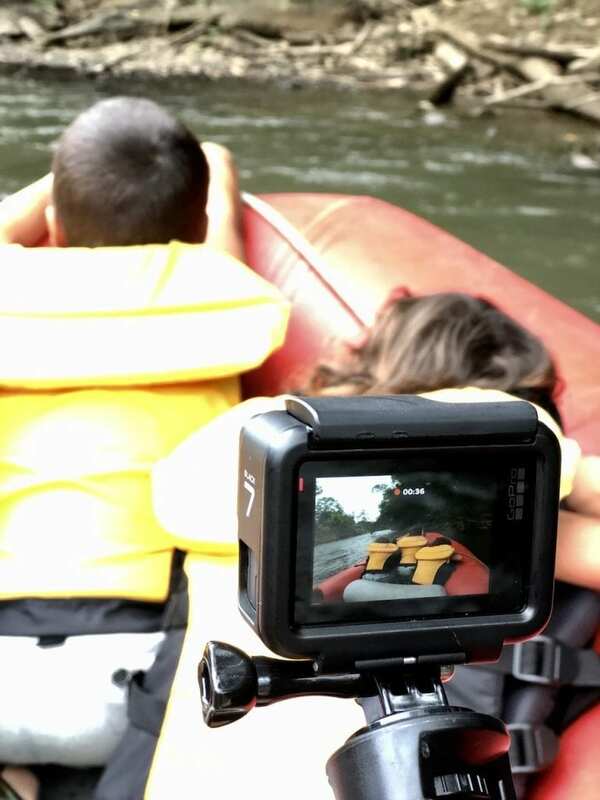 Your trip and photos look and sound amazing! I can’t wait to go someday. 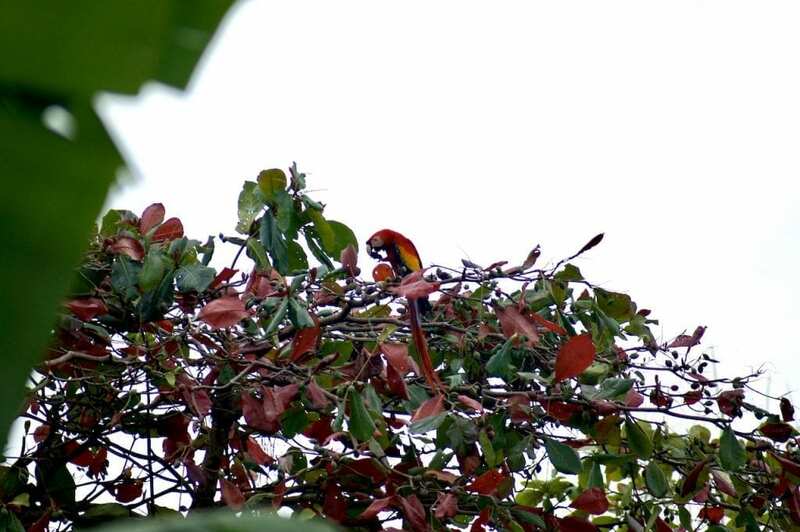 Hope you do make it to Costa Rica, you won’t be disappointed. It is a beautiful place!